This image came about through my own personl interest in Victorian imagery, Steampunk, and a pin off of one of my favorite prints, "Love Comes... strings attached." 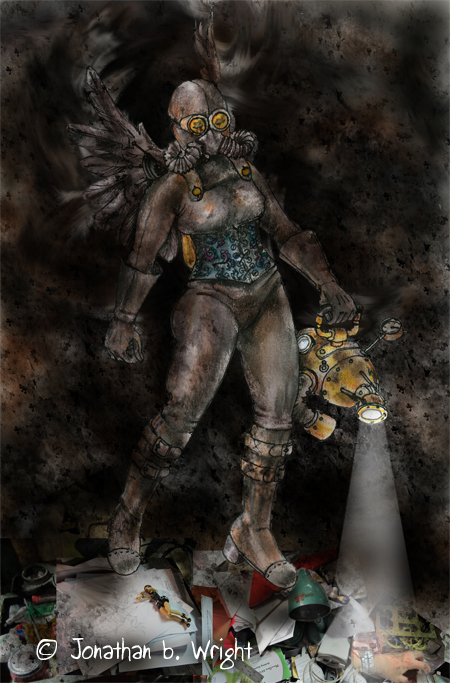 It is a post-apocalypse Steampunk Hazmat suited charcter. Then I did some work for a new gaming system and "fleshed out" (pun intended) the concept a bit as a possible story arc for a game.